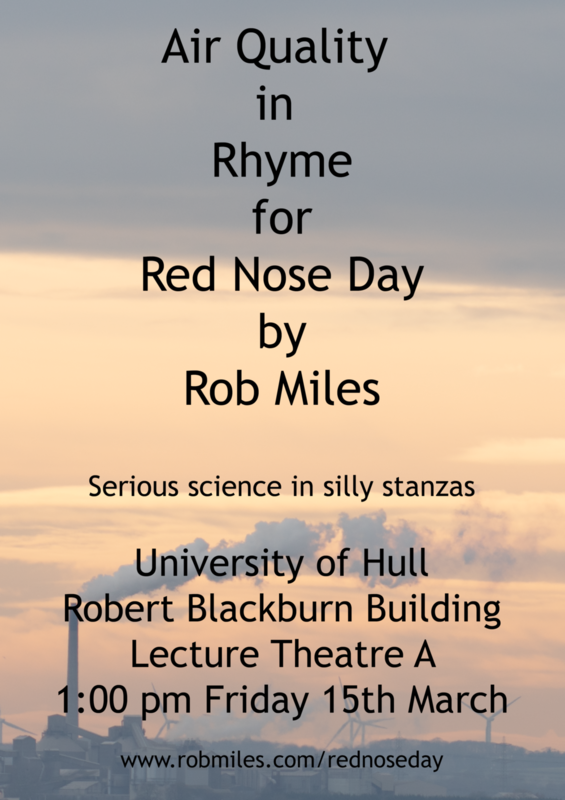 I’m doing another Red Nose Day lecture. This time I’m talking all about Air Quality. In Rhyme. Just because it’s important doesn’t mean that we can’t have the occasional (and I do mean occasional) laugh when talking about it.